Well, the time has come, amidst Twitter rants, release date pushbacks, calling out exes, stoners (yes you Wiz), album title changes, epic live performances….we’re here. We finally have Kanye West’s 7th studio album “The Life of Pablo”. At the top of the New Year Kanye gave us “Facts” a diss record of sorts, but the song wasn’t exactly received with high accolades. A bit later was when Kim Kardashian (and the fact that I’m mentioning her in this review makes me sick) announced that “G.O.O.D Fridays” were back. Shortly after we got “Real Friends” along with “No More Parties In LA” and fans (myself included) saw at least a glimmer of substance in Ye’s music and with him teaming up with Kendrick Lamar and Madlib some believed that maybe old Kanye is back. So what’s the verdict, what is “The Life of Pablo”? Right after this we get “Father Stretch My Hands Pt.1” and “Pt. 2” the former of the two produced by Metro Boomin and is my personal favorite beat on the record. The song starts with a sample from a Pastor and once the beat comes in Kid Cudi comes in with a beautiful hook. From there though it’s kind of downhill, Kanye comes in with his autotune singing and his verse afterwards is about going after a model and hooking up (to put lightly). Luckily the verse is short and Cudi’s lovely hook saves the day. Pt. 1 is more positive, Pt. 2 however is easily one of Kanye’s most personal and dark tracks that he’s created. Comparing his life to his father’s, comparing his parents relationship to the one he has with Kim Kardashian (I promise I won’t mention her again). We can judge Kanye all we want but it’s clear that he’s gone through some things and it affects the life he leads now. Pt. 2 is still one of my favorite tracks but I can’t understand a word this man Desiigner is saying in the hook. Regardless while these two tracks have their flaws, the album at this point is still kind of on the right track. Kanye here. Cocky, with a lot of money (despite his $53 million debt) and a high life involving women. In respect to what the rest of the album has been so far, this is a bit left field but still nothing new from Kanye. What makes this a problem though, is that a lot of the content on this record is driven by antics that we’ve seen on TMZ or twitter and it just doesn’t make for the most entertaining music. On the one hand we have joints like “Ultralight Beam” and “Waves” that perhaps suggest a Kanye West that we haven’t seen in a while. Even joints like “No More Parties in LA” “30 Hours” and others have Kanye coming back to early era Kanye with more lyrically sound music. In between all of these joints though we have melting pot of what Kanye’s going through. Apparently Ray-J and Kanye being friends doesn’t matter because Kanye’s rich, at the same time this man is in $53 million of debt. Joints like “Facts” have Kanye rapping as though he has nothing to lose, then we have “FML” where this same fearlessness has come back to haunt him. Truth be told, I have no idea what Kanye is trying to convey on this record, I left feeling nothing short of confused. Production wise the sounds were diverse to keep the album somewhat interesting, but with Kanye’s topics barely branching out, we’re left with an album that’s all over the place. One could honestly make the argument that this is Kanye West’s best effort on the flip side some could make the argument that this is Kanye’s worst effort. I’m right in the middle, I enjoyed the tracks that signaled Ye’s return to “real” lyrics if you will, however with that came a lot of filler that wasn’t needed on the album. If we’re talking big picture this album is a bit of a disappointment given the rollout and gassing of the record. “TLOP” according to some this isn’t the final version of the album, but what we have now is at best slightly above average. 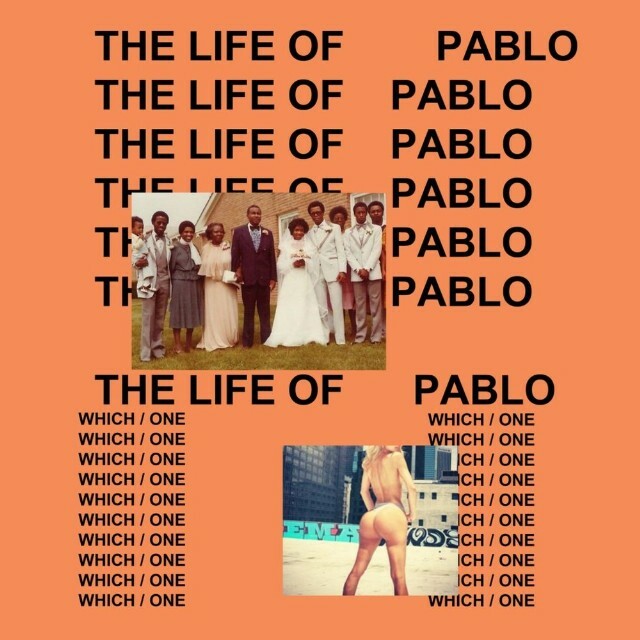 Chances are you’ve heard “The Life of Pablo” already, what do you think of it? Leave comments below and let me know your thoughts.